This place is really difficult to find at night. It may be obvious from the beach, during the daytime. But approaching from the road, you have to wander through an industrial area. It's now called the Lobster Shack and specialises in seafood, especially lobster and oysters. 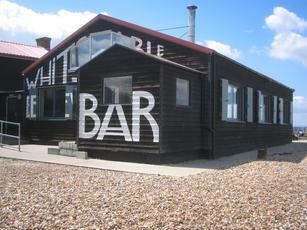 I guess it still has some kind of link to the Whitstable Brewery. The solitary cask ale was their Christmas Spirit. Not wishing to try a Christmas beer in mid-January, I instead opted for a key Oyster Stout also from Whitstable. Most customers were families. Inside was a bit on the cold side. More of a restaurant than a bar. and with a pint of Whitstable local lager coming in at £3-90 it should be. I suspect this is where the second homers from Islington come to . more of a restaurant than a bar, and an interesting wine list ,as in expensive . The brewery is in Grafty Green. It's nearly always closed and when it is open it's heaving and full of people looking to either get completely off their face and/ or get their leg over. 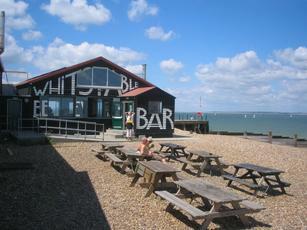 As for the beer coming from the Whitstable Brewery...where exactly in Whitstable would that brewery be?